To be different, by adopting the Meizu M6s Global Version ! In stock in France, delivery within 24 hours ! Let us surprise you with the Meizu M6s Global Version, and you get a smartphone dedicated to the media ! The Meizu M6s is sold at PhoneDroid in its Global version with support for the 4G 800 MHz. Meizu M6s : the best components at the best price ! There is the eternal debate of preferences between a fingerprint sensor located at the front or the back of a smartphone and there is the Meizu M6s. The drive is located on the right spine of the device just below the Power button. Ideally located, it falls perfectly under the fingers, whether you're left-handed or right-handed. Meizu has always been able to turn to renowned manufacturers, including the Korean Samsung, to equip its smartphones. It is therefore not surprising to find within the Meizu M6s a processor and sensors photos from the world leader on the market of smartphones and high-tech products. "Show me your smartphone and I'll tell you how much you have paid !"... Maybe it was still true two years ago but, fortunately, the brands apply now to equip all smartphones with a design that is neat and stylish. The plastic disappears little by little to leave place to the aluminum and other materials premium. The Meizu M6s takes a hull entirely in aluminium, with a quality of craftsmanship optimum and flawless finish ! The chinese brands have settled a little in spite of themselves, on the european market. Victims of the import facility with the internet, the price of their smartphones has interested the people not wanting to dedicate a big budget in buying a mobile. Aware of this, they now produce phones that are perfectly adapted to the requirements of our country. Thus, the Meizu M6s is sold in a version Global at PhoneDroid.fr. 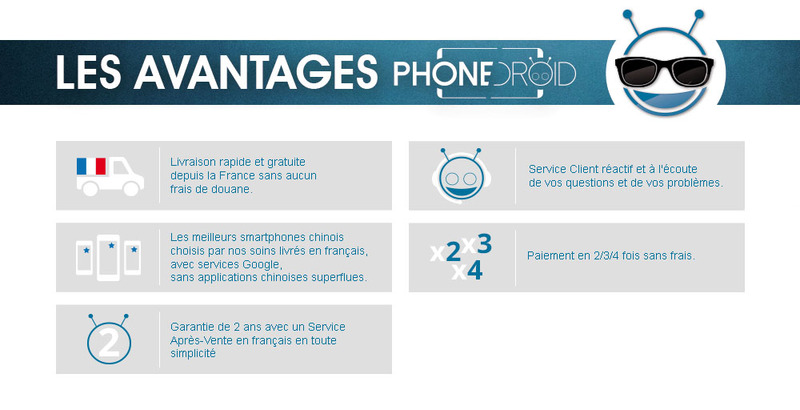 So you will find in the box a charger a european, the smartphone in French with the Playstore and updated constructor. It also supports the famous B20, frequency band of 800 MHZ, which is indispensable with certain operators for a perfect reception of the 4G !